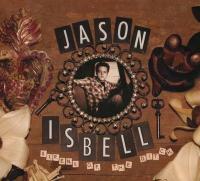 Titre(s) Sirens of the ditch / Jason Isbell, par., comp., guit. & chant. Editeur(s) New West Records, P 2018. Contient Brand new kind of actress. - Down in a hole. - Try. - Chicago promenade. - Dress blues. - Grown. - Hurricanes and hand grenades. - In a razor town. - Shotgun wedding. - The magician. - The devil is my running mate. - Whisper. - Crystal clear. - The assassin. - Racetrack Romeo.